Is Your eCommerce Checkout Process Healthy? The doctor is in! Checkout abandonment is plaguing eCommerce sites everywhere, and it may be affecting your eCommerce checkout too. Merchants everywhere are losing money for reasons that can be cured with a couple Band-Aids and some rest! To help you combat this nasty disease, we’ve come up with a couple different remedies in order to keep your eCommerce checkout process healthy. Our most recently released Checkout Conversion Index (CCI), a quarterly Index that benchmarks the performance of 657 retailers that represent over 70% of all U.S. eCommerce retail spend, has found that the overall CCI Index score fell to 53, down 3.1 percent from 55 last quarter. Forty-eight percent of merchants scored well below the average Index score. Overall, time to checkout actually got worse, not better, as did total clicks from start to checkout. Some of worst performers were also the largest merchants. So what can you do to prevent your site from getting sick like the rest of these retailers? Customers want their checkout to be easy and frictionless. This starts out with not having too many steps & fields on your checkout page. Shoppers should be able to easily check out without having to re-enter their information multiple times. The CCI measures that the average number of seconds it takes to checkout in Q1 2016 is 216 seconds (which, by the way, is slower than Q4 2015!). Don’t fall prey to a long checkout process. Once they do go to pay, they should have local languages, currencies, and payment types displayed for them to choose from. You wouldn’t want a shopper in Germany abandoning because they couldn’t find sofort, would you? That would definitely cause your illness to relapse. Top performing merchants in the CCI have an average of 5.7 payment types (and no, credit cards don’t count as more than one payment type!). Lastly, offering product reviews on your site in this day and age of the Internet is extremely important. If you aren’t offering those reviews on your site, chances are your customer will go somewhere else to find them, and potentially purchase elsewhere. These are some simple steps to avoid eCommerce checkout friction. If your customers aren’t confident in your site, you may just come down with the plague. There are so many sites online where you can buy things, so how are you going to make sure your customers are comfortable with you? First, display security logos and badges prominently on your site – a customer doesn’t want to feel like the second they start typing in their credit card information that it’ll immediately get stolen. 97% of the top performing merchants in the CCI have these, do you? Second, if your customer has a question, make sure you are there to answer it. Live help/chat is crucial for eCommerce checkout these days. 44% of customers say that having a live person answer their questions while in the middle of an online purchase is one of the most important features a website can offer. Third, offer coupons! Customers are always (and we mean ALWAYS) looking for a deal. If you’re willing to give it to them, they’ll have much more confidence in you as a merchant. In fact, 8% of shoppers will simply abandon if no coupon is available. Don’t get stuck leaving money on the table or you may fall ill again! Additionally, 97% of the top performing sites in the CCI offer coupons – make sure your site gets a good grade by offering them too! 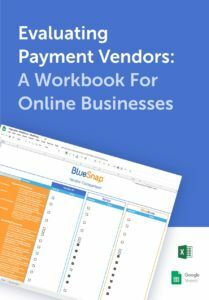 Though these often happen behind the scenes, if you want to avoid the plague, you’ll make sure you set these things up properly or partner with a payment gateway who can help you. A good start is to have multiple connections to acquiring banks. This is crucial in terms of increasing conversions – if you are connected to more than one bank, international transactions have a higher likelihood of being approved. With a connection to multiple banks, you will be able to retry and failover your transactions should they fail at the first bank. This simple functionality can increase your conversions by up to 3%. Another thing to take note of is your fraud rules. If they’re too aggressive, you may be declining transactions that aren’t fraud! By staying proactive about keeping up with fraud trends, you will keep your checkout page healthy. If you don’t know how to manage your fraud rules, partner with someone who does. Last but certainly not least, are you processing your transactions in local currency? If you aren’t, you could be missing out on critical conversions – up to 10% at least!